What, in your opinion, is the purpose of arts criticism? : Arts criticism is the way by which the ephemeral production of artists can be stamped into a place and time for posterity. By writing on the arts, we are creating a separate cannon that serves to document the who, what, where, when, how, and why of art for the present and future. Though criticism is viewed as assessing the quality of the work, it should also aim to root the production in our world. This means writing on the artists and acknowledging their social locations, their personal lenses. What “lenses” do you bring to a show (what influences how you perceive art)? : Mixed-Persian, womyn, queer, fat/body-posi, BFA Dramaturgy & Criticism, oral hxstorian, listener, intersectional feminist, prison abolitionist, museum practitioner (low-key museum anarchist), anti-racist, small business womyn, caregiver, Midwesterner. Who is your favorite theatre artist and why? : The Lovely and Talented Coya Paz is responsible for so much of my growth as an artist and writer. She co-founded Teatro Luna at a time when Latinx stories were hidden from view and not given room to exist in traditional or experimental spaces. Her work as a solo artist and poet is inspiring, dealing with elements of personal and historical survival. Paz is currently the Artisitc Director of Free Street Theater, which will be turning 50 this summer 2019. They are super radical history-makers as a company that pays all artists for their labor with competitive stipends, while offering free child care, and championing the free/pay-what-you-can theatre movement. Paz does so much for Chicago and its people—teaching, inspiring, movement building—fostering space for joy and justice for all. Bio/Website: Yasmin Mikhaiel is an oral hxstorian and dramaturg currently based in Chicago. 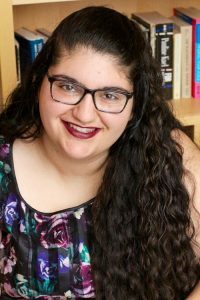 She graduated from The Theatre School at DePaul University in 2017 with a BFA in Dramaturgy and Dramatic Criticism, with minors in history and museum studies. She finds joy in preserving and curating stories that are usually ignored or deemed “lost.” Yasmin is currently the staff Oral Historian of the National Hellenic Museum in Greektown, and also works as a consultant to organizations such as the Chicago History Museum and MacArthur Foundation. Dramaturgy credits include God’s Ear, The Misanthripe, Crime and Punishment, Failure: A Love Story, Cinderella: The Remix at The Theatre School, and The Revolutionists at Strawdog Theatre Company. Yasmin is also a proud alum of Northwestern’s Cherub program, where she specialized in Design/Tech in 2013. I still see it being posted on my news feed. The video looks like a story of perseverance, one where determination to survive ultimately wins out. But this two-and-a-half-minute video of a baby bear cub scaling a snowy mountain is more harrowing than it originally seems. And, its ability to go viral and capture the public’s attention speaks to a larger trend of perceived goodness and its unfortunate underbelly. The video opens with the cub and its mother atop a snowy mountain. They are trekking through loose snow, the steepness of the mountain is an obvious anxiety. The mother continues on, step by step to the top. The cub is slower and hesitant, but follows close behind her, until he loses his footing and slides many feet down. Over and over, he steadies himself, continues the climb, then slides down. Even animal haters, would beg for reunion. But once it comes, as the cub meets the horizon, the mother inexplicitly swats, throwing him off balance and back down the slope. To hear the inner monologues of the cub and the mother would do much for our questioning souls. The cub continues to climb once more, and as exhaustion sets in (for us and him), he pushes through, ultimately reuniting once more. When comparing this ViralHog YouTube video to that of a well-budgeted production, this story is formulaic gold with a happy ending. Relatable characters, tension inducing action, neatly resolved cliffhangers. But when we widen the lens and tune our ear to the audience of biologists, the context and moral of the video change dramatically. What would compel a mother grizzly to take such a risk, one that endangers her cub atop such a steep and slippery slope? The lens capturing this particular story is that of a drone, one flying too close for comfort in their usual habitat. The underbelly here is of the armature nature documentary, one where the manners of entering someone’s home sometimes go out the window. The drone and its operator are an uninvited guest wreaking havoc by endangering animals that just got put back on the endangered species list. Nevertheless, the astounding impulse to share this good-feels video was to be expected. Context no longer matters as meme culture and viral videos further remove us from digging into how or why something is made. But I am heartened by the responses of researchers, professional drone operators, and scientists alike to call attention to how irresponsible and inconsiderate interventions into an animal’s home can cause harm. Intention versus impact rings so true here. In a world where facts can be alternative and video doctored to incite anger, we must be cautious with who and what we choose to uplift. In this case, the famous Shakespearian stage direction “Exit: pursued by bear” is flipped as the one who perishes could have been a young cub and not a human.